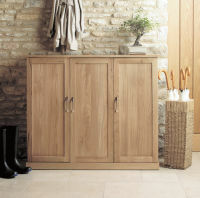 The Mobel Oak furniture range is the best-selling collection at The Wooden Furniture Store. 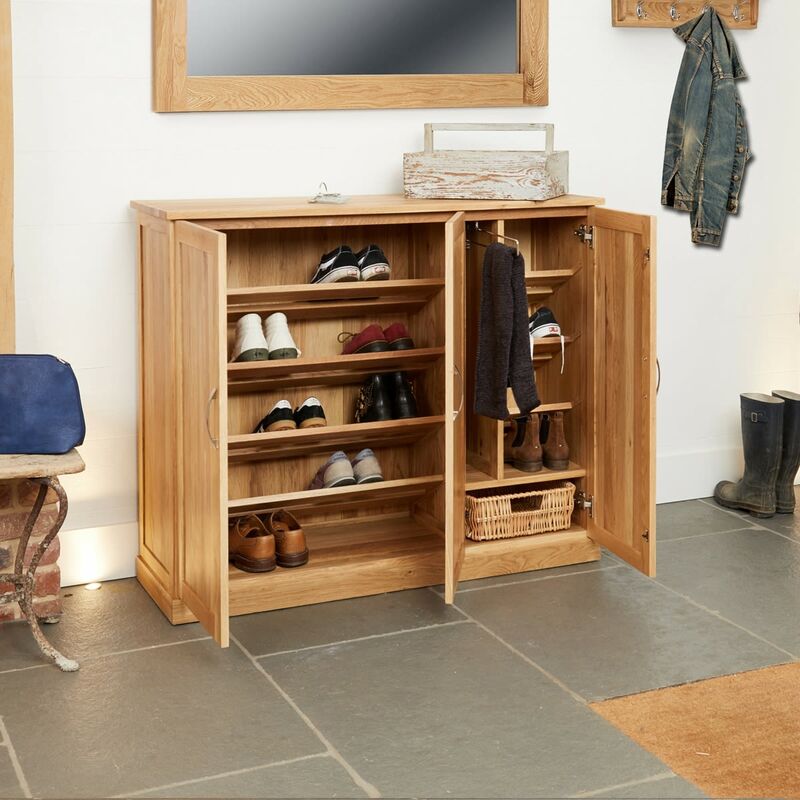 The modern range is hand built from the highest grade, light oak wood, sourced from managed plantations and finished with a satin varnish to highlight the natural grain of the wood. 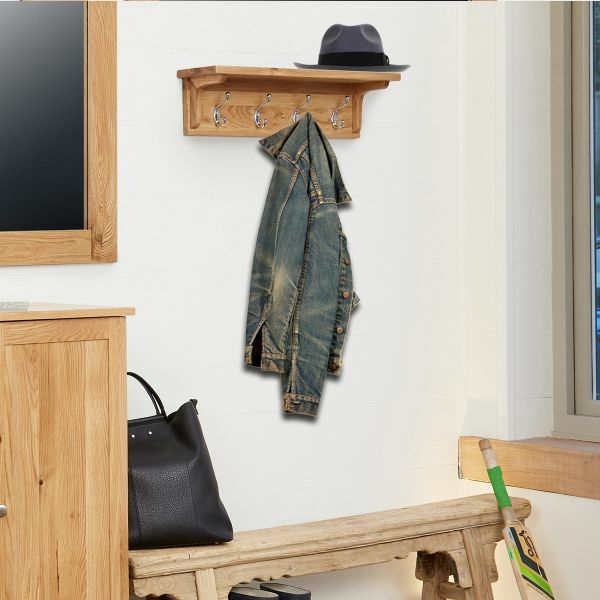 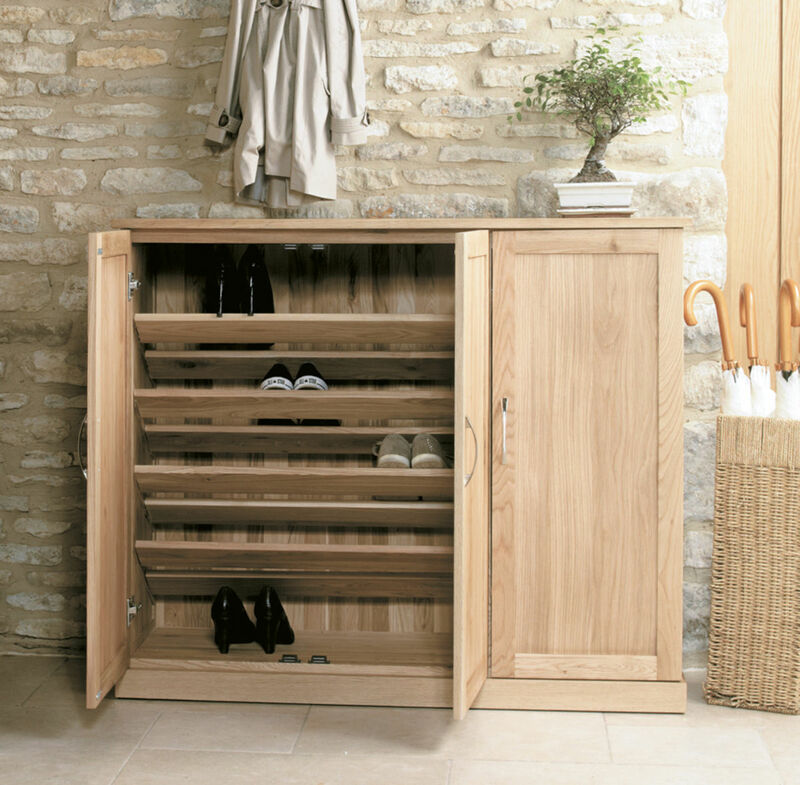 Keep your hallway clutter free with our best selling range of shoe cupboards. 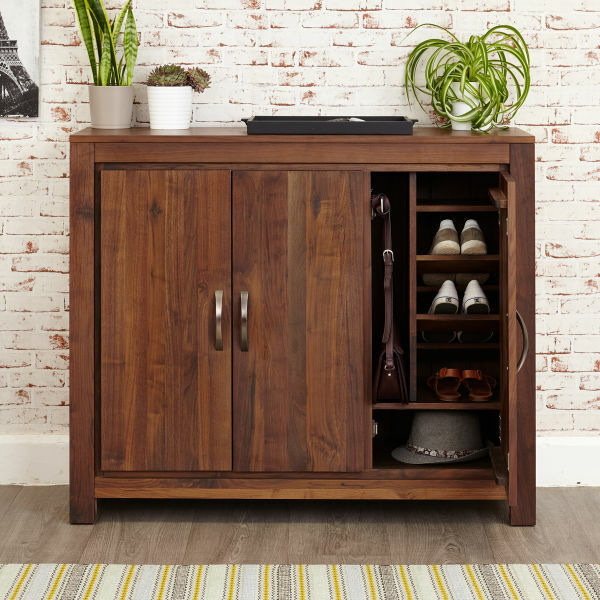 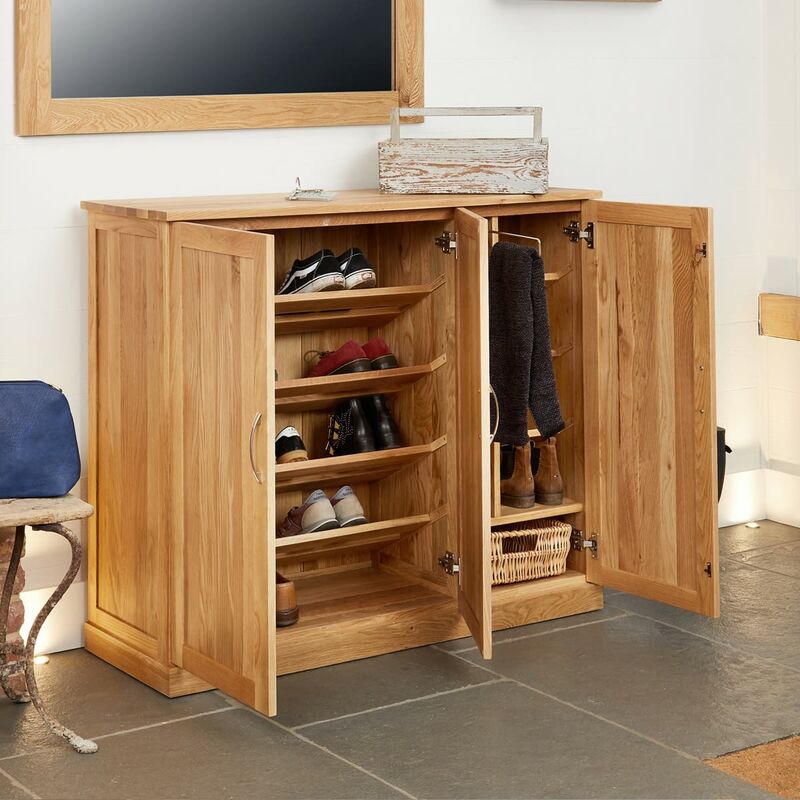 This new Mobel Oak extra-large shoe cupboard offers substantial hidden storage and is a beautiful piece of furniture in its own right. 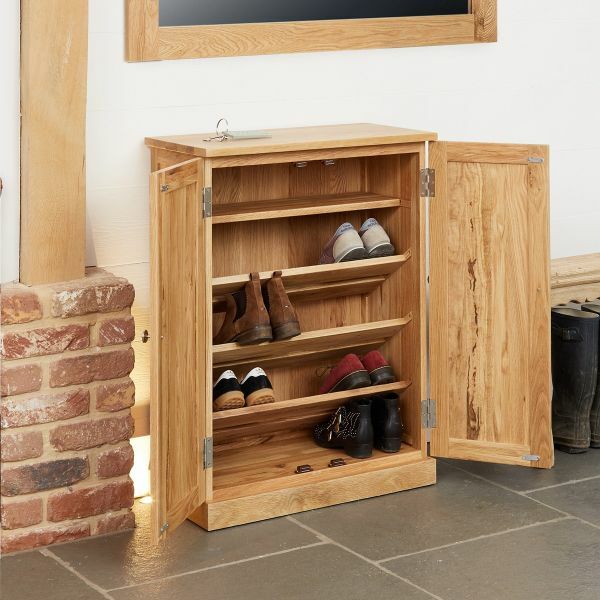 In the left hand cupboard, 14 pairs of shoes can be stored over four shelves one of which is removable making it perfect for boot storage. 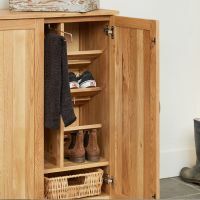 In the right hand side cupboard, is space for 6 additional pairs of shoes across three shelves, an ingenious pull out rail for umbrellas and a useful wicker storage basket which fits neatly at the base. 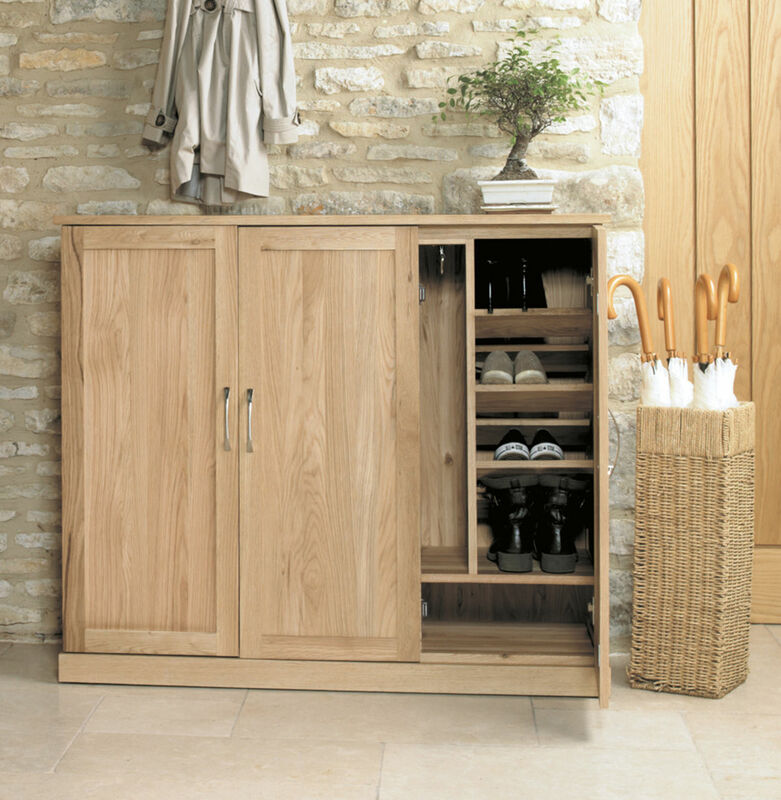 The cupboard is beautifully finished with side panel detailing and elegant steel style handles. 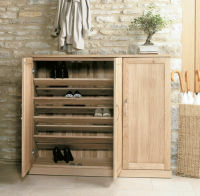 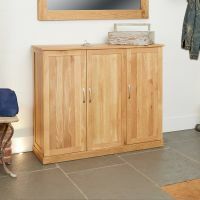 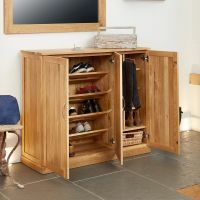 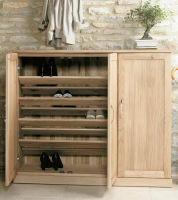 The Mobel Oak extra-large shoe cupboard is delivered fully assembled. 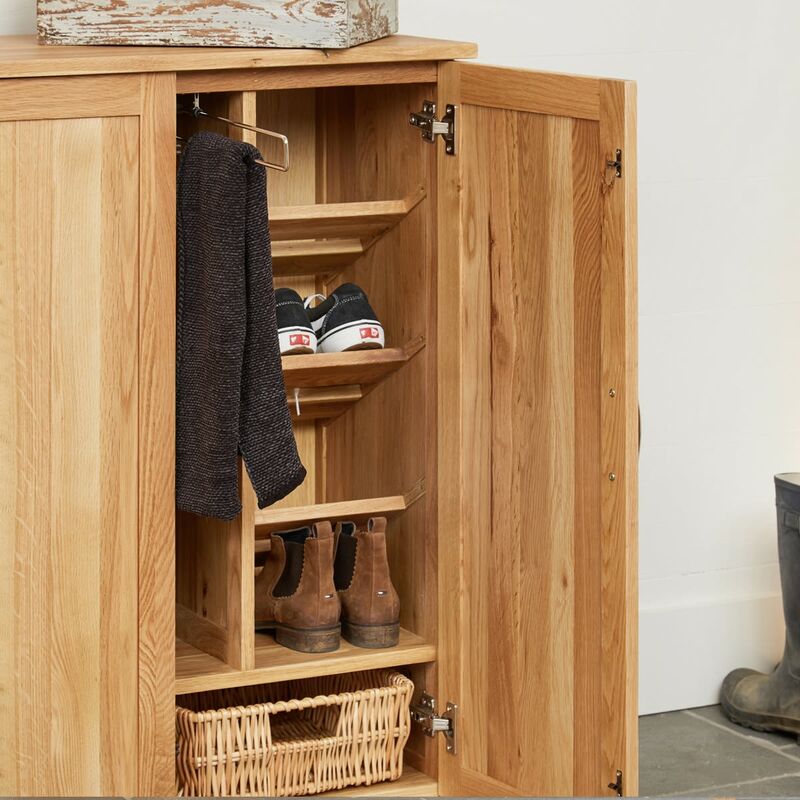 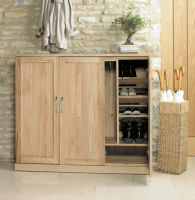 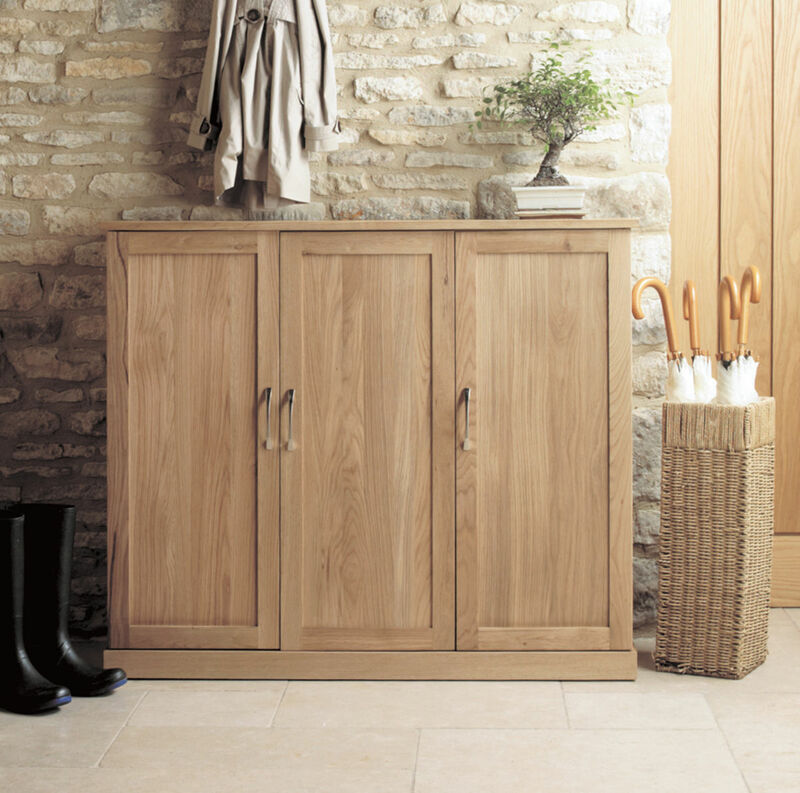 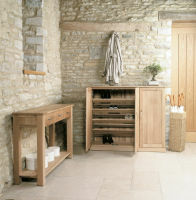 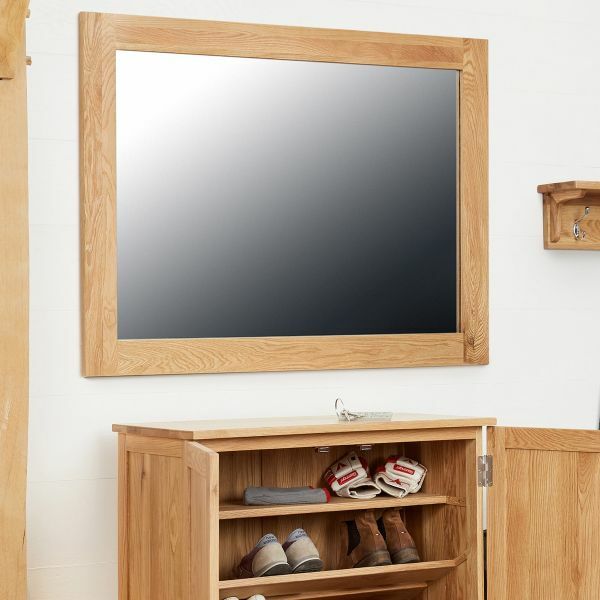 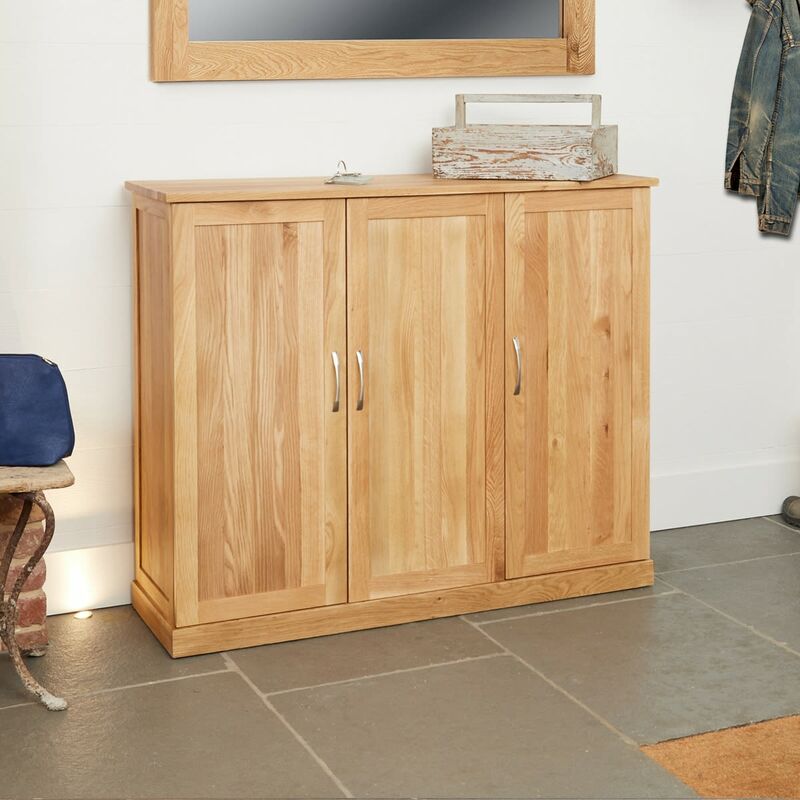 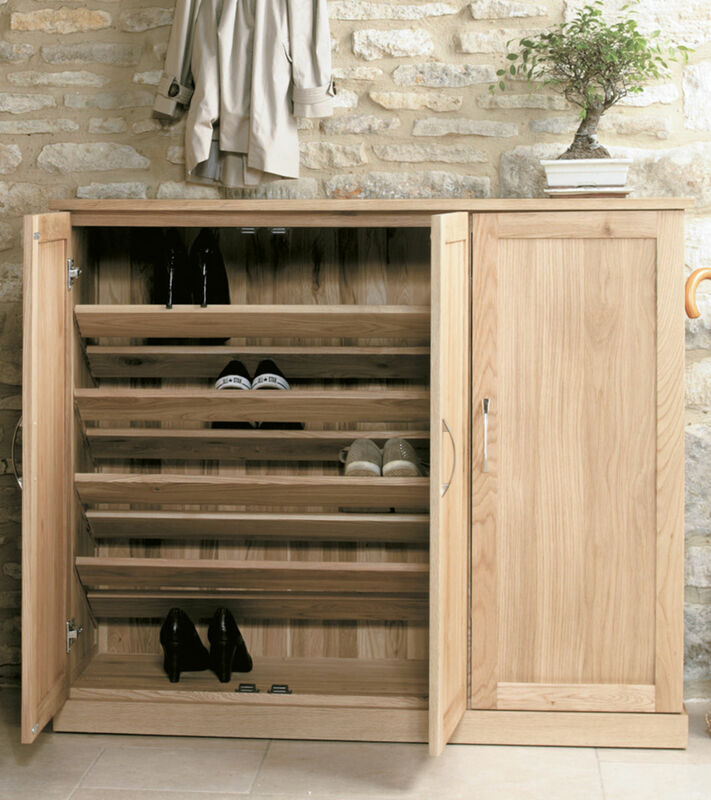 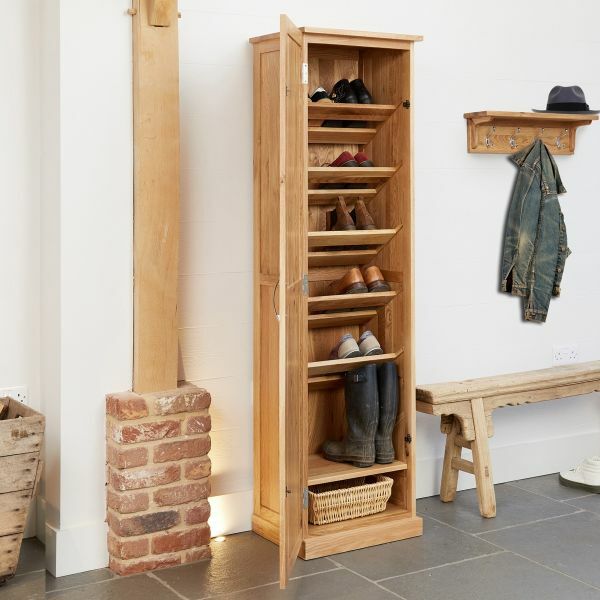 The Mobel Oak hallway range includes a co-ordinating console table and three additional size shoe cupboards.